Tell Us: What Jeans Exactly Is Alexa Chung Wearing? 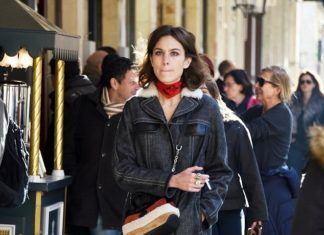 Tell us in the comments section which jeans Alexa Chung is wearing. We have to know! Alexa Chung looks so adorable in her vintage denim shorts. The celebutant is dressed perfectly with her boho bag and peasant shirt paired to her shorts.